Productivity software, what do you use? Microsoft Office, LibreOffice, Google Docs, other? These may be the most boring applications that you have to use, but ultimately office productivity software is just that, software for getting work done. The typical office suite will provide word processing, a spreadsheet and presentations app. Then depending on what you need to accomplish and the suite you choose, it may also include an email program, database management, maybe some light graphics editing, and note-taking software. Microsoft Office has been the industry's standard for over 20 years, however in the last a few notable competitors have emerged. 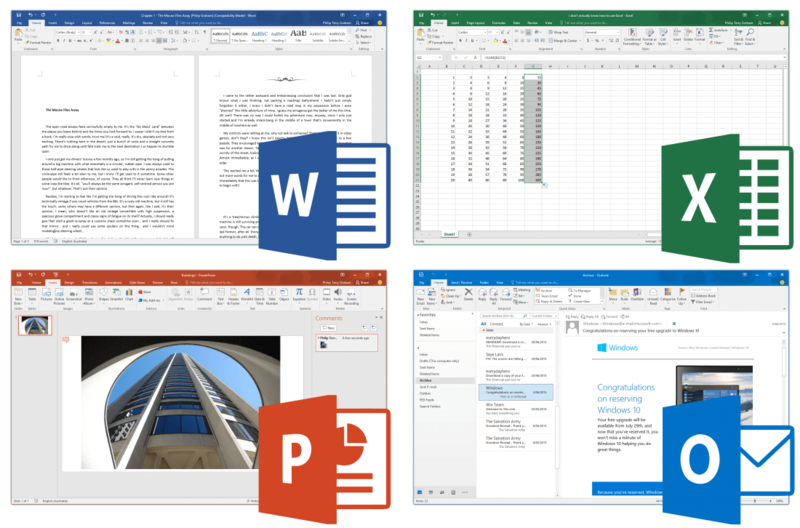 On the desktop side WPS Office and LibreOffice (a fork for the now less popular OpenOffice) are free and cross-platform alternatives, while Macs have been getting Apple's combination of Pages, Numbers and Keynote free of charge since late 2013. Moving away from the desktop, many others have taken advantage of the ubiquity of the web browser, offering better collaboration, and access to files on mobile platforms. Google Docs is, of course, the first and best example that comes to mind, but there are others including Zoho and Only Office. Microsoft's own Office Online is also free, or if you simply want to edit documents, Dropbox Paper and Etherpad are good. So for this weekend open forum we want to ask, when it comes to productivity software, what do you rely on the most? Do you only use one suite or use a combination of them and why?